Swim and triathlon specialist TYR Sport has announced its partnership with event organiser DelMoSports in the Mid-Atlantic region. Founded in 2004, DelMoSports is a boutique race company specializing in elite destination events along the southern New Jersey shore and Delaware. 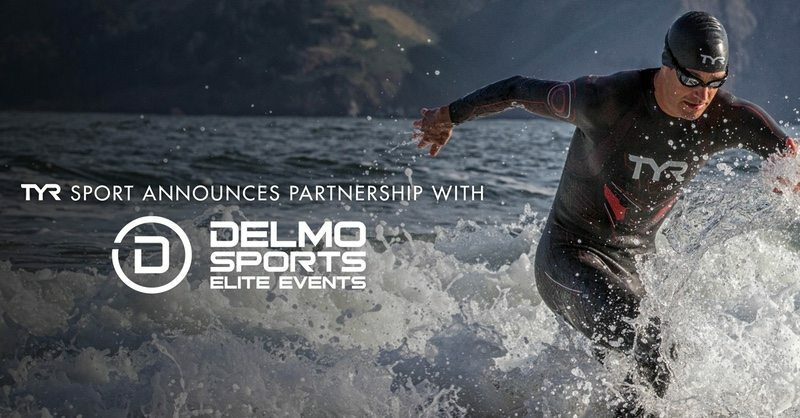 DelMoSports events include IRONMAN 70.3 Atlantic City, the Atlantic City Triathlon, Tri the Wildwoods Triathlon, Escape to Lewes Open Water Swim Classic and Escape the Cape Triathlon, which was voted the Best Triathlon in the Mid-Atlantic and Northeast Regions by Competitor magazine. Known for high quality, athlete-centred productions with an emphasis on community involvement, DelMoSports events provide ‘challenging courses, spectacular scenery and amazing vacation opportunities for athletes and their families’. TYR boasts an impressive roster of sponsored athletes most recently including Olympic Gold Medallist and 2x IRONMAN World Champion Jan Frodeno, as well as 3x IRONMAN World Champion Mirinda Carfrae, 3x IRONMAN and 2x IRONMAN 70.3 World Champion Craig Alexander and 2x US Olympian Sarah True. Some of TYR’s standout swimmers include 12x Olympic medallist Ryan Lochte, 6x Olympic medallist Matt Grevers and 5x Olympic gold medallist Dana Vollmer.